"We are only what we always were, but naked now. Aye! and the wind. God's icy wind, will blow." In class today, while discussing the culture of Mississippi, the banning of To Kill a Mockingbird, and if the Confederate Flag will survive the deep south hospitality, a student asked, "Why is all this happening now?" "The taking down of flags, the rise of the LBGTQ community, and all the sexual harassment stuff." "Because we're in the midst of a revolution," I said. The Silence Breakers: TIME Person of the Year 2017 from TIME Video on Vimeo. The magnitude of accusations has been staggering, but it's also been terrifying, because it has come from every corner of every neighborhood, like a plague, infecting everyone. Comedians, actors, producers, pastors, reporters, governors, liberals, Fox Newsers, presidents, neighbors, and family members.
. . . it was a bathroom filled with smoke and shot glasses littering the table. I try my hardest to forget but I know I am not able. I remember all I could think was, "Please do not come any closer." The night soon, just not quickly enough, came to an end and he asks, "Promise not to tell?" Me? Not not me. No sir. Who would I have told with so much on the line? Except now I fear hands that are bigger than mine. When I called DFS and reported the story, they already knew. But there was nothing they could do. It was his word against her's. And she's just one of thousands of woman, both old and young, who have hidden and damning stories that have been trapped beneath years and years of lies, fear, and power. 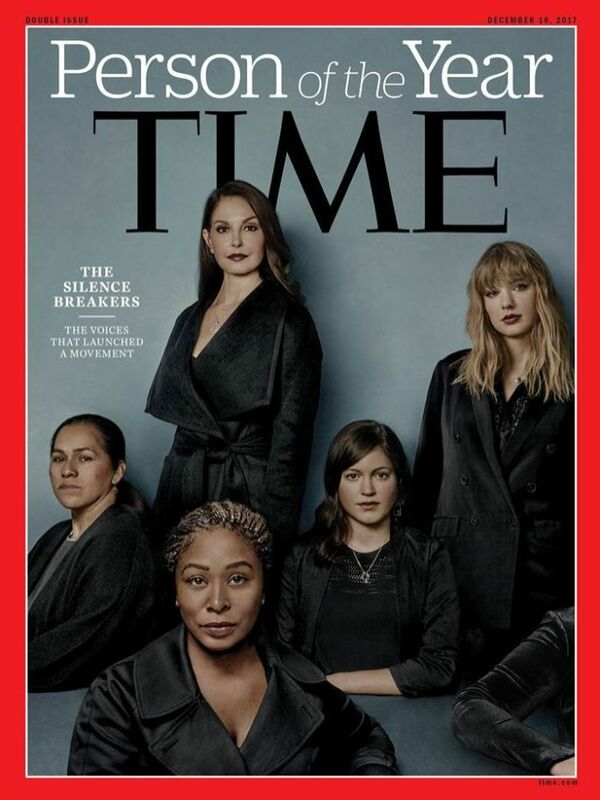 That's why the cover of the New York Times, Cosby Woman has an empty chair, and it why the TIME Person of the Year cover has a mysterious elbow below Taylor Swift, because "she’s symbolic of all those people who have yet to come forward and may be struggling to do so for fear of repercussions" (via). Because it needs to happen now. We are what we've always been, only naked now. So let the icy winds blow. For the innocent feel no shame.